Foxtons has revealed that its six branch closures announced towards the end of last year will save the company £3m in 2019. The annual report also sets out gloomy news about the general London sales market, expressed through the company’s substantial write-down in its sales business. A write-down is an accountancy term for the recognition that assets or activities are now worth less than before. The branches closed last year were at Loughton, Enfield, Beckenham, Ruislip and Park Lane; the firm says it can cover 85 per cent of London postcodes from its existing network of 61 branches. However, the annual report also reveals a subtle change in emphasis for Foxtons, away from the glitzy high value central London sales sector which has suffered particularly since the EU Referendum back in June 2016. 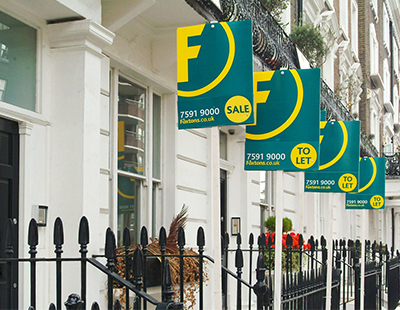 “Foxtons now has over 50 per cent of branches outside Transport for London’s zones 1 and 2, and is well placed to capture the growth and activities in these areas in both lettings and sales” says the report. It adds: “The political uncertainty, weakened UK economy and fall in consumer confidence since the 2016 Brexit referendum have resulted in homebuyers exercising greater caution. This is translating to lower transaction volumes in the London property market. We do not expect market conditions to improve significantly until the political and economic landscape becomes clearer. Meanwhile the report also shows that the bonus of chief executive Nic Budden rose from £218,000 in 2017 to £248,000 last year despite the worsening position of the company. However, his total pay fell slightly from £920,000 to £914,000. 1. Focus on developing strong positions in markets with attractive market fundamentals: “The size of Foxtons branch network across London means it is well positioned to benefit from any future growth in sales volume” it says. You can see the entire annual report here.